I love coming home to a package on the front porch. Don't we all? But you know what I love even more? Coming home to a package full of running stuff on the front porch! Ahhh, the excitement! An extra item just for fun. That's 5 to 7 items in total, shipped on a bi-monthly basis, for US$35. Sales open on June 1st (that's tomorrow! ), and the first boxes will be shipped between 5 and 7 July. 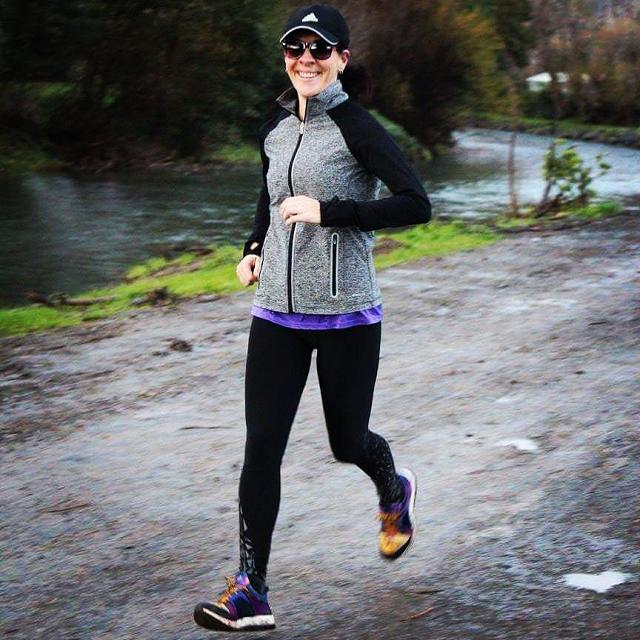 [Inside tip: Head on over to the RaceHer Box website and sign up for the mailing list to receive a special discount code!] Note that boxes are sold on a subscription basis, but that subscriptions can be cancelled at any time. A 10% discount is given for all three-month subscriptions. Buuuut, without any further ado, let's take a peek into the July RaceHer Box! A RaceHer "Run in the Sun" Tank. Can't wait for summer to bust this one out! A "Run like a Girl" Bottle Band. Wayfarer Floral Sunglasses. I'm in love with these sunnies! They're much more fun and funky than my old pair - I wear them all the time now! Heritage House "Your Pace or Mine" Lip Balm. This one is made from all-natural ingredients - love! A Pretty Fizzy Bomb Shower Steamer. Smells sooooo good! 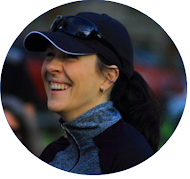 One of the things I love most about RaceHer Box, is the fact that it's curated by a fellow runner chik who knows just how to spoil and inspire female runners. 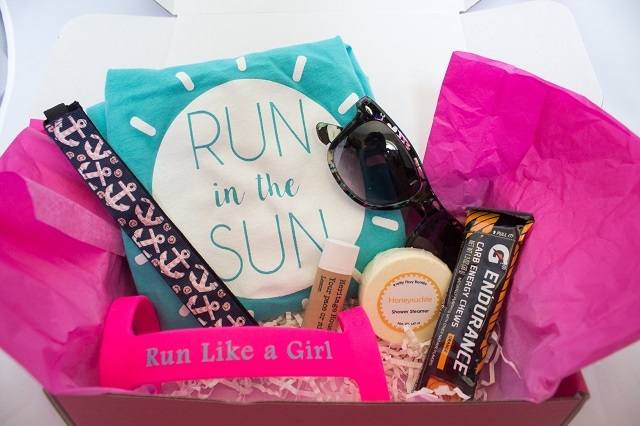 It has the feel of a care package given to you by a sole sista sending you off on a running adventure - certainly something I wouldn't mind finding on my doorstep every two months! 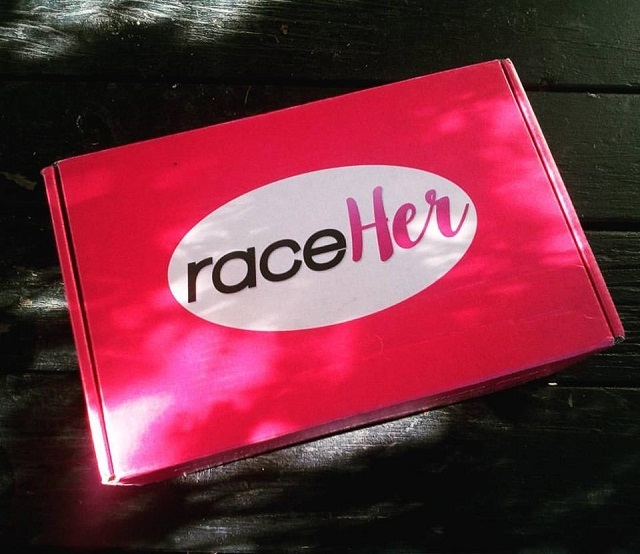 *I received a complimentary RaceHer box in exchange for an honest review. All opinions are, as always, my own.